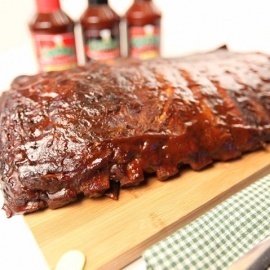 The world-famous Corky's BBQ sauce & dry rub makes every bite remind you of what great ribs and BBQ are supposed to taste like. Our Memphis heritage provides a matchless array of unique flavorings that is exemplified to perfection through our BBQ sauces, special seasonings, and authentic ingredients. 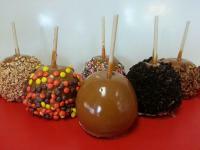 All of these tastes come alive with each and every mouth-watering bite. 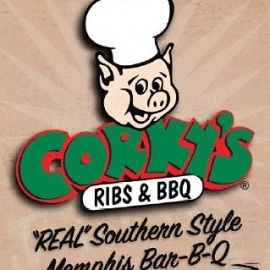 You'll swear that Beale Street is just around the corner and that Corky's is right smack in the middle of "Hog Heaven."